Pepco has crews working around the clock to restore power knocked out by Friday night’s storm, but some customers may remain in the dark through the week. Pepco estimates 90 percent of the outages will be restored by 11 p.m. Friday, a timetable Montgomery County Executive Ike Leggett called unacceptable at a news conference with Gov. Martin O’Malley. "Nobody will have their boot further up Pepco's backside than I will to make sure we get there," O'Malley said about the July 6 timeframe. Pepco president Tom Graham said about 343,000 customers remain without power as of noon Sunday. 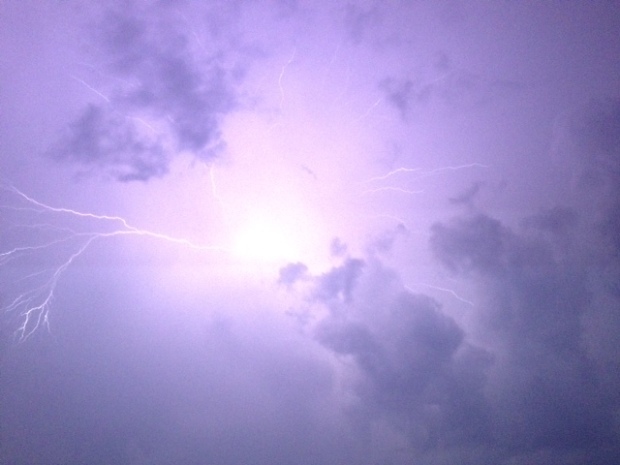 About 443,000 people were without power at the thunderstorm’s peak. When Will the Power Be Restored? Pepco has given an estimate as to when it expects to have power restored to all of its customers in the aftermath of Friday night's deadly storm. News4's Derrick Ward reports. 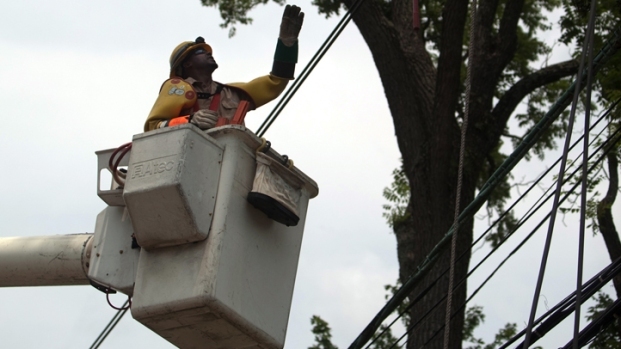 The company has 2,100 people mobilized for the restoration effort, including about 580 power line personnel expected to arrive Monday from Oklahoma, Florida and Georgia. Crews are working around the clock and in 16-hour shifts. Nursing homes, hospitals, gas stations and traffic lights get priority, Pepco said. In Montgomery County, about 400 traffic signals are out. Virginia Dominion Power called this the third-largest restoration effort in its history and its largest-ever non-hurricane restoration effort. The effort is focused first on public safety, transmission lines and detailed damage assessments. Nine of 10 affected transmission lines were returned to service Saturday. Crews are working on restoring power to police and fire stations, hospitals, water pumping facilities, public cooling locations and nursing homes. News 4's Darcy Spencer has the latest from Maryland Gov. Martin O'Malley and his push to get power to the people. Dominion sent a tree crew and a line crew to an assisted-living home for disabled people in Fairfax County and restored power by noon. The dozen residents in the HUD facility had been without power since the storm Friday night. Most of the residents get their food from food banks, and much of that food spoiled. Because the residents have no vehicles, many hadn’t had much to eat since Friday. They said that with the exception of a maintenance worker who stopped by for a few hours Saturday, they hadn’t seen anyone from the management company. Dominion told News4 they hadn’t heard about the situation before and called it a special emergency case. Residents said that after learning about the situation from News4, about a dozen people dropped by with water and food. Dominion said Arlington locations hit especially hard should see more residential work locations Monday. Virginia Gov. Bob McDonnell urged residents to keep calm and patient as crews work to restore power to 739,000. McDonnell said the recovery effort is hampered by a lack of assistance from out-of-state crews. Crews from Quebec are heading to Virginia to help. Dominion said it has commitments from about 1,000 outside resources. 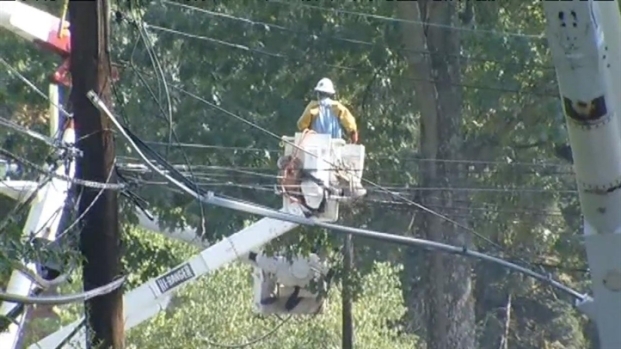 The outages coupled with the heat wave make a "very dangerous situation," McDonnell said. Baltimore Gas and Electric also said power outages caused by Friday's storm will last well into the week for some customers. More than 290,000 customers have had their power restored since Friday's storm, but more than 300,000 were without power about 1 p.m. Sunday. The backbone of the utility's electric distribution system, its 33 kilovolt power lines, which supply power to substations, sustained significant damage. BGE said the damage is similar to a hurricane or tropical storm. Crews from out-of-state utilities were expected to arrive Sunday to help with the restoration. Some emergency 911 call centers in the area have lost service, and residents are being told to call local police and fire departments. With the power out, authorities also warned people to be careful when using generators and candles to help light darkened homes. When a hurricane is lumbering their way, state officials have time to get extra personnel in place so they can immediately start on cleanup. That wasn't the case with this storm, known as a derecho -- a straight-line wind storm that sweeps over a large area at high speed. 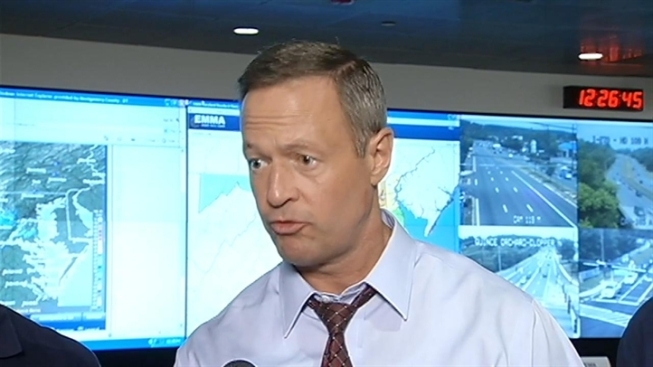 “Unlike a polite hurricane that gives you three days of warning, this storm gave us all the impact of a hurricane without any of the warning of a hurricane,” O'Malley said. Click here for more from the aftermath of the storm.